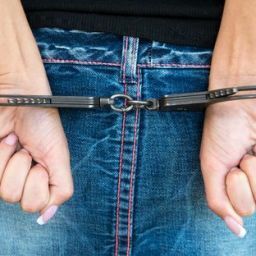 For those facing DUI charges for drugs, your DUI defense attorney may use any of the following eight defenses to get your DUI charges reduced or dismissed. 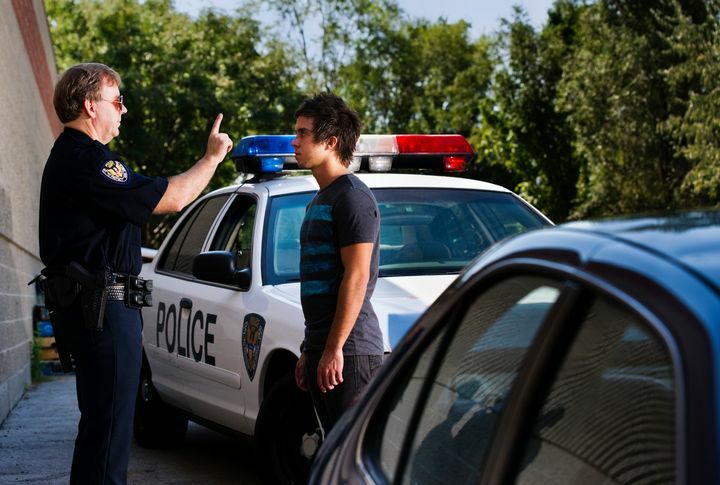 Before a police officer can stop your vehicle, he or she must have reasonable suspicion or probable cause to do so. What is Probable Cause For A Traffic Stop? Probable cause is “reasonable suspicion for a traffic stop”1. This means that you were observed having violated a traffic law, such as speeding, failing to stop completely at a stop sign, or straddling the lanes. An example of lack of probable cause to stop you is racial profiling. Can The Police Stop You Randomly? You may not be stopped at random for the purpose of seeing if you have been drinking without some other justification. Can You Be Stopped Randomly At A DUI Checkpoint? The exception to this is at a DUI checkpoint so long as the setup of the checkpoint and how it was conducted conformed to California law. In a situation where a traffic accident has occurred that was not observed by police or any other percipient witnesses, an officer might arrive to see several persons standing outside a vehicle. Even if the officer observes objective symptoms of intoxication, he must ascertain who was the driver of the vehicle. What Happens If There Are No Witnesses? If no one makes a statement to the officer and there are no indicators as to who the driver is, there may not be sufficient probable cause to arrest any of the persons standing near the vehicle. 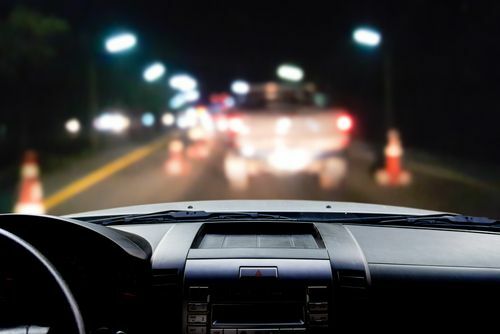 However, if there is any evidence that could suggest that one person was likely the driver, such as the way the seat is adjusted, or the fact that one of the parties is the registered owners of the vehicle, the officer may have enough probable cause depending on the totality of the circumstances. Can This Defense Work For Taxi Or Uber Drivers? This may not be available to taxi, limo or ride share drivers since there would only be one person authorized to drive the vehicle. If a ride-sharing driver is involved and his or her app was on, this may point to the vehicle owner as the only person who could have been driving. Under California law, the officer must have observed the vehicle to have moved before having the authority to stop, question and then arrest you for DUI. What If The Car Barely Moved? Your vehicle need only move a few inches, even if the engine was not engaged, and the prosecutor can show that you had physical control2. However, if you are found asleep in your car miles away from any town or happened to pass out in the middle of an intersection, then the officer can reasonably surmise that you drove to that location. What If The Engine Is On But You Did Not Move The Car? An adjunct to this is a scenario where you had been in an accident but left the vehicle and the scene and returned home or went to a nearby bar or restaurant where police found you. Unless you admit that you had not ingested any drugs (or alcohol) during the interim between the time you left the vehicle and your being questioned by police, you could just have likely become impaired after you left the scene. The most viable defense that you can use if charged with DUID under VC § 23152(f)3 is that the prosecution has insufficient evidence to prove that you were under the influence of a drug while driving. In a DUID case, there are no BAC results demonstrating a quantifiable amount that California law deems as a presumption of impairment. Can You Be Charged For VC 23152(f) If The Blood Test is Insufficient? You can still be charged and convicted if the prosecution offers sufficient evidence other than any quantity of any particular drug(s) in your system that shows beyond a reasonable doubt that you were driving while under its influence. If you were lawfully stopped by an officer for speeding or some other traffic violation, the officer may inquire further as to whether drugs are involved so long as he or she has a reasonable suspicion that you are under the influence. What Symptoms of Impairment Are Officers Looking For? Classic symptoms of impairment are slurred speech; watery, bloodshot eyes; fumbling with documents; and an inability to understand simple directions or questions. It may be different for drivers under the influence of a drug since different drugs produce different symptoms. If DUI marijuana is suspected, for example, your coordination is usually not affected. Few people who smoked or ingested marijuana exhibit slurred speech or have watery, bloodshot eyes, though they may appear glassy. If the officer testifies to this, a defense expert can counter with studies that refute such conclusions in the majority of subjects. Do You Have To Take Field Sobriety Tests? You are under no obligation to take any of these tests and will not be penalized at all if you refuse. However, the majority of defendants are either too fearful of appearing uncooperative, or are unaware that they can refuse to take the tests, and commit to taking them. This includes blowing into a PBT, or preliminary breath test, which only detects the presence of alcohol in your blood. Its results are not admissible as evidence but do provide probable cause to suspect you are under the influence of alcohol. 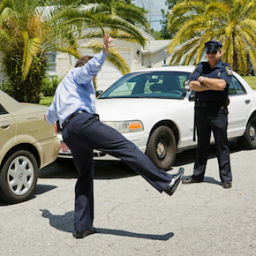 Can Field Sobriety Tests Be Challenged For DUID? The FST tests can be challenged on the basis of the suspect’s physical condition, weather, the terrain where the tests were administered, the nerves and anxiety of the suspect, and his or her level of fatigue. One field test designed to indicate the presence of either alcohol or a drug is called the horizontal gaze nystagmus test, or HGN. Whats Is The Horizontal Gaze Nystagmus Test? HGN is an involuntary jerking of the eyeball as the eyes gaze from side to side. Nystagmus occurs when the eye rotates at high peripheral angles. Who Can Administer An HGN Test For Somone Sspected Of Driving Under The Influence Of Drugs? This test must be administered by a DRE, or drug recognition expert, who will take a brief medical history of the suspect, take the person’s temperature, blood pressure, and perform a certain ocular test. This consists of the officer having the subject follow a slow-moving object across his eyes, like a pen or small flashlight. What Are The Indicators Of Impairment? 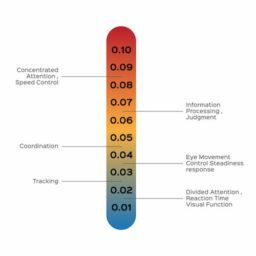 Will These Indicators Detect Marijuana Use? If marijuana is suspected because the officer detected the distinct odor in the vehicle or found a used joint on the seat or ash tray, then these indicators should not be present. A defense drug expert can testify that studies show that the eyes of a person under the influence of marijuana will smoothly follow the object horizontally and will not deviate before 45 degrees of center. 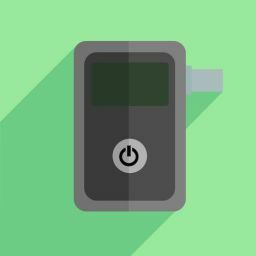 Will The HGN Test Detect Narcotic Use? If the defendant was suspected of being on a narcotic or a depressant, the person’s eyes should also smoothly follow the pen or flashlight during the HGN test. With a narcotic, the person’s pupils may be constricted. Other symptoms that an officer may miss but which are common for narcotic users are droopy eyes and facial twitching. If the arresting officer concludes that there exists sufficient evidence or probable cause to believe you are under the influence of a drug, then you will be asked to take a blood test. If you refuse, you risk suspension of your driver’s license for at least one year with no opportunity to obtain a restricted license before the suspension period ends. Other penalties include increased jail time if convicted among other penalties. Will The Presense of THC In My Blood Test Cause A DUID Conviction? The presence of a drug in your blood is not conclusive proof that you were under the influence. THC metabolites, found in marijuana, remain in your system from 28 to 45 days. How Long Is Cocaine Present In My Blood? If testing for cocaine, the test will screen for benzoylecgonine, a metabolite of cocaine, that is detectable in your body for several days. How Long Can Meth Stay Present In My Blood? Methamphetamine can remain for 2-10 days depending on several factors. In any case, the effects of these drugs would have dissipated long before you drove. Is There A BAC Level For Drugs? There is no accepted metabolism rate for a drug as there is for alcohol as it is affected by the person’s age, gender, tolerance, general health, and how the drug was ingested. As a result, no one can testify as to what the drug concentration level was at any time you were driving. 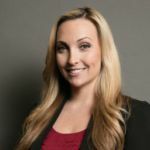 Is Your DUI Automatically Dismissed If Title 17 Regulations Were Not Followed? If any of these regulations were not followed, the results of any blood test will not be excluded. Instead, these errors or omissions go to the weight of the evidence4. There are circumstances under which an officer may not draw your blood without your consent or without a warrant. If you were in an accident and left the scene but were found at your home by police, they cannot enter your home without a warrant to arrest you or to force you to submit to a blood test. Similarly, if you are arrested and taken to a hospital for a blood draw, the officer may not force you to have it drawn absent your consent or a warrant. Obtaining a warrant is relatively easy and quick to do and there are no exigent circumstances that would obviate the need for, or justify an exception, to the warrant requirement under the 4th Amendment to the U.S. Constitution5. What If You Did Not Consent Because You Were Unconscious? You also cannot claim you did not give consent if you were unconscious when your blood was drawn6. For whatever reason, you may have unknowingly taken a drug, or someone slipped the drug into your food or drink without your knowledge or consent and you became impaired while driving. If you can present evidence to this effect, you should not be convicted of a Driving under the influence of drugs7.